Earn $340.00 in VIP credit. Click to Learn More. When the race is against the wind and the clock the ENVE SES 7.8 Chris King Ceramic Wheelset is optimized for the task. By reducing the tradeoffs between aerodynamics, stability, weight, and stiffness, the SES 7.8 carbon fiber aero wheel is the perfect tool for road racing and triathlon alike. The SES 7.8 features asymmetric rim geometries front to back. The front rim is 71mm deep and 29mm wide while the rear rims is 78mm deep and 29mm wide. The dissimilar rim geometries improve the efficiency of the airflow in the system of bike frame and wheels. Because running 25mm tires is now standard, the SES 7.8 was designed with larger tires in mind. Additionally, frame manufacturers are now producing frames that have more clearance between wheel and frame which has opened up the design scope for a wheelset. The SES 7.8 is optimized for these frames. 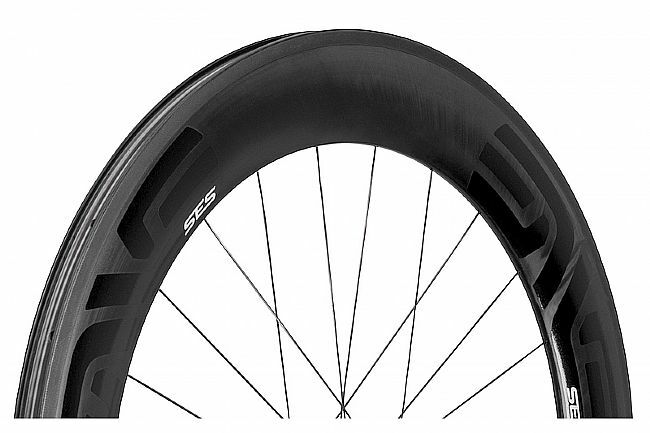 In addition to changes in shape and structure, the SES 7.8 features the latest molded in carbon fiber brake track texture and is compatible with road tubeless tires. 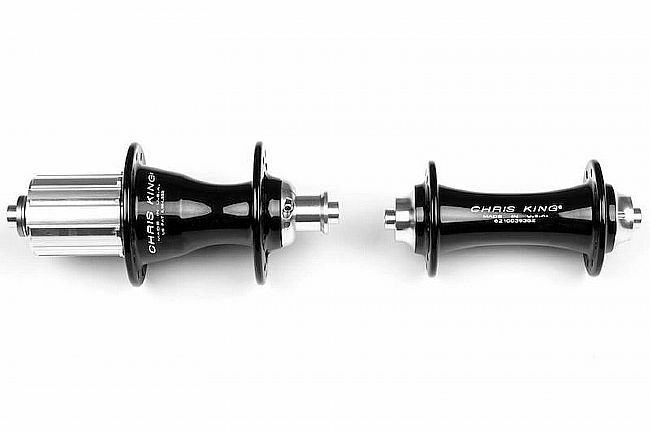 Featuring Chris King's R45 hubs utilizing ceramic bearings that refuse to bind or grind, even when things heat up – like during prolonged descents. These bearings are made in-house in Portland, Oregon just like the rest of Chris King's components. The rear hub might just be the most iconic part of this puzzle. Featuring their iconic 45-tooth RingDrive system, every pedal stroke will stir up an angry swarm of bees that propels the bike down the road. The ENVE SES 7.8 Chris King Ceramic Wheelset includes both front and rear SES 7.8 wheels, two quick-release skewers (100mm, 130mm), 10mm brake pads (SRAM/Shimano), 8mm brake pads (SRAM/Shimano), valve extenders (75mm set), tubeless kit, accessory bag, wheel manuals, and a wheelbuild card. Rim Depth: 71mm front / 78mm rear. Rim Width: 19mm (internal), 29mm (external). Hubs: Chris KIng R45, Ceramic bearings. Front Axle: Quick release, 100mm. Rear Axle: Quick release, 135mm. Spoke Count: 20 front / 24 rear. Manufacturer Warranty: Five-year warranty, Lifeltime Loyalty Guarantee. Claimed Weight: 779g front / 887g rear / 1,632g wheelset.